HELLO EVERYBODY!! It has been awhile since I have had time to post anything on my blog. I received a VOXBOX from Influenster and want to share my thoughts with you!! Check it out! This entry is going to show off my FROSTY VOXBOX! I haven't received a good voxbox lately but I got lucky with this one. It was jam packed with lots of great products. I liked everything, but 1 product sent with this box. Here is a list of the products and a short review about each one. Eco Tools Hair Brush I am in LOVE with this brush. It does not pull my tangles like the basic Goody brush I have been using. I will be checking out more products by this name brand. Rimmell Eyeliner and Makeup Remover This eye liner is LONG LASTING and goes on smooth! I will be using this brand and style from now on. I had been wanting to try it so I was stocked when it came in my voxbox. It is definitely worth the price. It didn't smudge. The make up remover was awesome too! I used it with the eyeliner that night and it wiped right off. I didn't have to rub or scrub, which is one thing I look for in a make up remover. My eyes are very sensitive. Great product!! Celestial Tea I wasn't too fond of the tea. I am not a hot tea drinker though. I am from the south and like sweet tetley tea on ice. McCormick Gourmet Thyme Herbs I tried this herb in my vegetable soup and loved it! Fruity Vines Candy These candies were full of flavor. I wasn't too impressed because I hate chewy candy. I just don't like it when candy gets stuck in my teeth. They really had a burst of fruity flavor though. NYC Lipcolor I like this lipstick. It was long lasting when I tested it out on a day at work. I have fell in love with NYC make up though. It was featured on RuPaul's Drag Race. They have some really awesome pigment eye shadows. This product is sold at Ulta if you are interested in trying it. I received all these products complimentary through Influenster to test and review. If you are interested in joining and getting a voxbox too, just go to www.influenster.com. It is all free and open to anyone that has internet access. All you have to do is test the products and review them. The more you talk about the products, the better chance you have of receiving more products. They have even started sending out large products like a Kuerig for lucky consumers to try. I wasn't lucky enough to get one of those last year, but I got my fingers crossed for something good this year! Check out this spoiler video of what Influenster is going to be sending out this year! I can't wait to see if I qualify for any of them! Happy Blogging!! 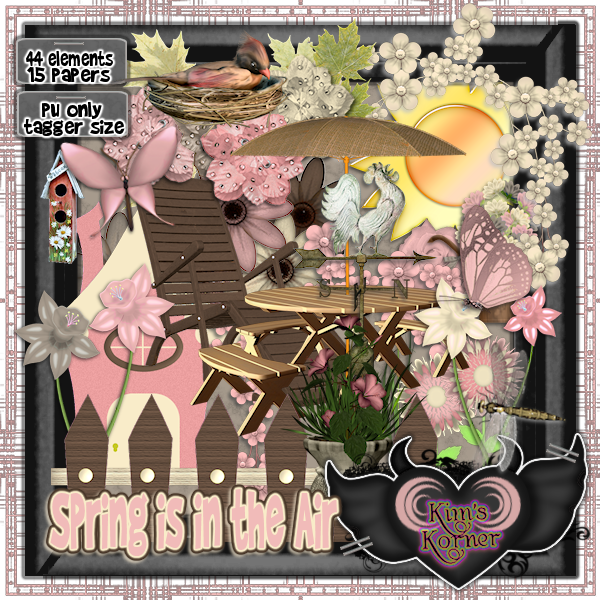 I have a new kit in stores called Spring is in the Air. Spring is right around the corner and I am so ready for it! This kit is capturing the elements of fresh air and beautiful flowers. Packed with 44 elements and 15 papers, this kit is perfect for your spring signature tags, Facebook timeline covers, etc... Look below for a list of elements that are included with this kit. Not all elements and papers are shown in preview. Papers are 800 x 800. Tagger sized, personal use only. Elements have been re-sized and drop shadows added for preview purposes only. 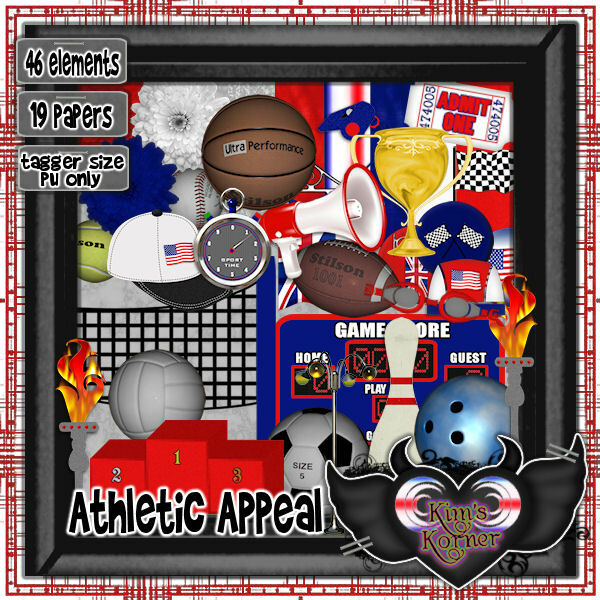 Scrapping Update, Designer of the Month and a FREEBIE!! Hi everybody! 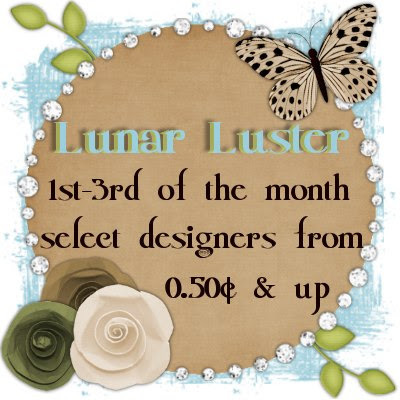 I am Designer of the Month over at Mystical Scraps for the month of June! 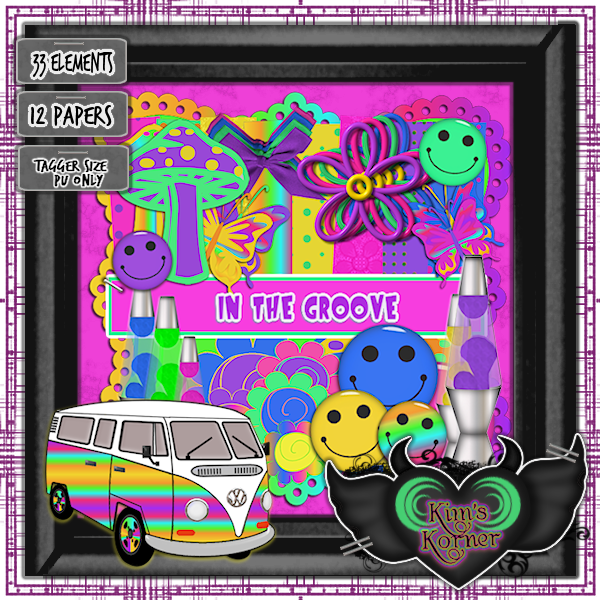 In celebration, I have a new scrap kit Freebie for you! It is available over at Mystical Scraps with a small purchase. The freebie contains 64 elements and 24 papers. Look below for the link to get your freebie. Here is a preview of Athletic Appeal Freebie kit. 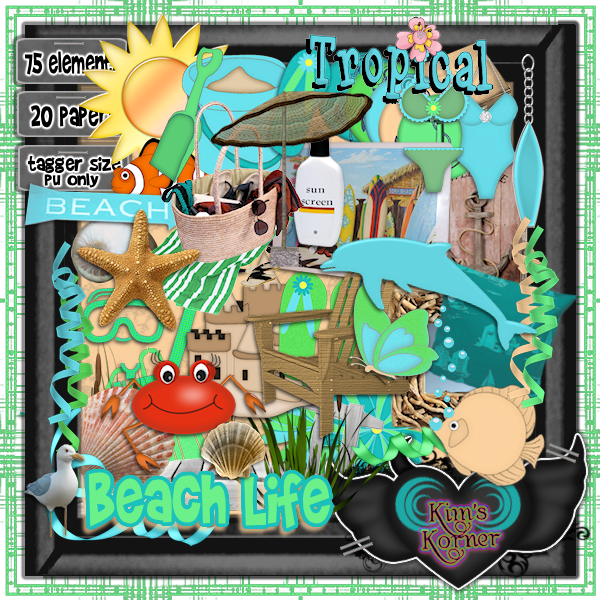 I also have a new kit in the store called Beach Life! You can get it for only $1.50 for the month of June over at Mystical Scraps. All my kits are 50% off for the whole month! Now is the time to save some money!!! LUNAR LUSTER IS THIS WEEKEND! NEW KIT BEACH LIFE in STORES now!! Come back often for more freebies. Be on the look out for limited time FREEBIES. 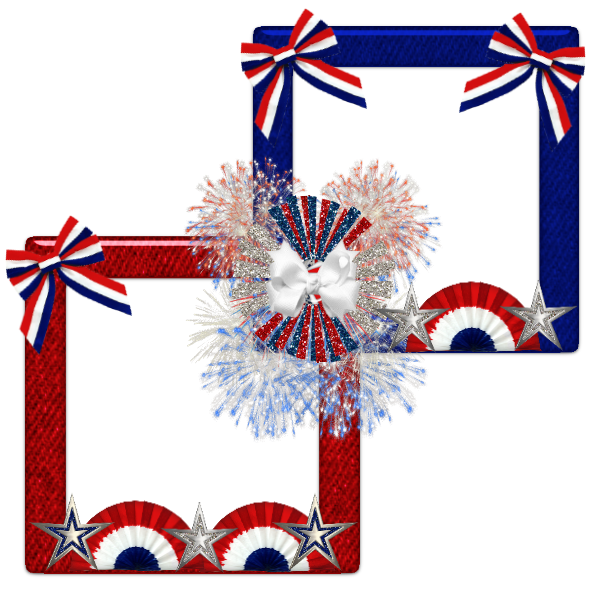 has made with my "American Pride" kit! God Bless America! Be sure to visit her blog so you can do the tutorial she has written on how to make this awesome tag! She also has a freebie cluster frame available. 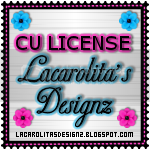 Click the blinkie below to visit her blog and download the freebie frame! This kit is available now in all my stores. The poser used in this tutorial is by Dazzlin Divas. It can be purchased by clicking below. Thank you so much Robyne! To go to her blog and do this tut, →CLICK HERE! The poser used in this tutorial is by Dazzlin Divas and can be purchased at Enchanted Dreams Boutique. To purchase the poser used in this tut, →CLICK HERE! 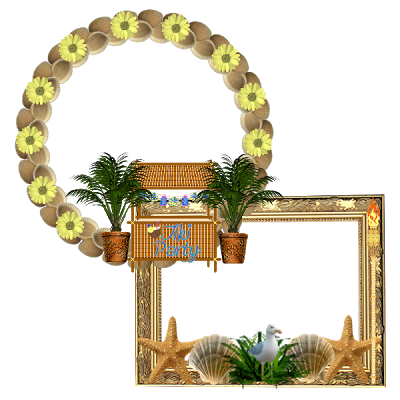 FREEBIE CLUSTER FRAME available on Robyne's blog. 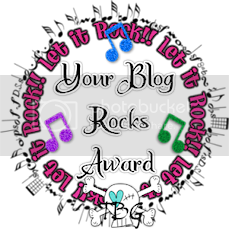 or you can Click this blinkie to visit Robyne's blog. 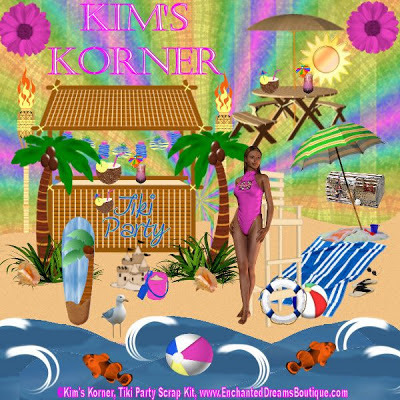 Tiki Party Tutorial by Robyne using my kit, "Tiki Party"
has made with my "Tiki Party" kit! This tag makes me want to go to the beach! Be sure to visit her blog so you can do the tutorial she has written on how to make this awesome tag! She also has a facebook timeline and a cluster frame available. Click the blinkie below to visit her blog and download the freebie frame! This kit is available now in all my stores. Thank you so much Robyne! My Sugar n Spice Vox Box was awesome! If you haven't read my previous posts then you might not know about Influenster. (This is not an advertisement, this is just a blog entry. I just wanted to share this site so you can get free stuff too.) I received my second VoxBox about a month ago. In it was a variety of good free items to test out. I have had time to test all the products and I was very satisfied with all of them! First I tried the cookies. They were actually very tasty and full of flavor. I shared them with my family and they liked them too. They were cinnamon flavored and tasted alot like Graham crackers. The other edible item that came with this box was the Splenda Nectresse sugar supplement. I was also surprised with this product. It tasted better than real sugar to me. Though I think it is too pricey to actually purchase on a monthly basis. I have been using the colgate whitening system for about a month now. I have noticed my teeth are whiter. I would recommend this regimen to all my friends that are wanting to whiten their teeth on a budget. The best 2 products in the box were my Vaseline Spray n Go lotion and the Dickinson's Witch Hazel Towelettes. The spray lotion is awesome! It is easy to use and leaves my skin feeling smooth and moisturized. The Witch Hazel towelettes are also another beauty product that I will be purchasing in the future. I have used them at home, in the car, and at the beach. They remove my make-up with ease and are so convenient. I have posted a video below using them. Click here to Like my Fan Page! I love Nail Polish and I love FREE stuff. I thought this was to good not to share with my readers! Kellogg's is also offering a point program for codes entered off specially marked boxes of Kellogg's products. There are many different prizes you can claim with the points you get from entering codes. 2) Enter codes and earn points at KelloggsFamilyRewards.com. If you’re not a Kellogg’s Family Rewards™ member, it’s free and easy to sign up. 3) Collect and redeem points for fun items in our rewards catalog. Once you sign up, Kellogg's will send you bonus codes through email to receive bonus points. I have racked up almost 800 points so far. If you know of any bonus codes, please comment and let us know.